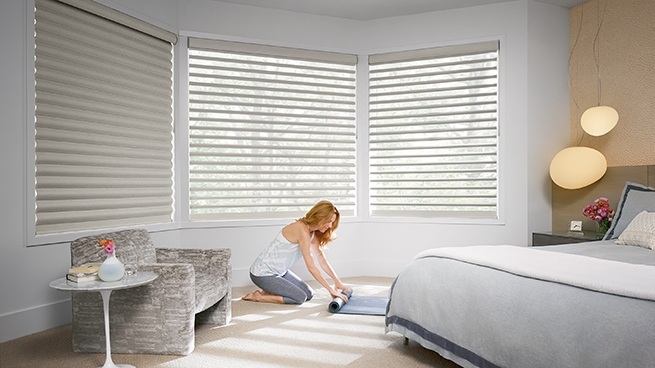 Bright Line Custom Blinds offers motorized blinds, shades and sheers that allow for easy operation and increased child and pet safety. 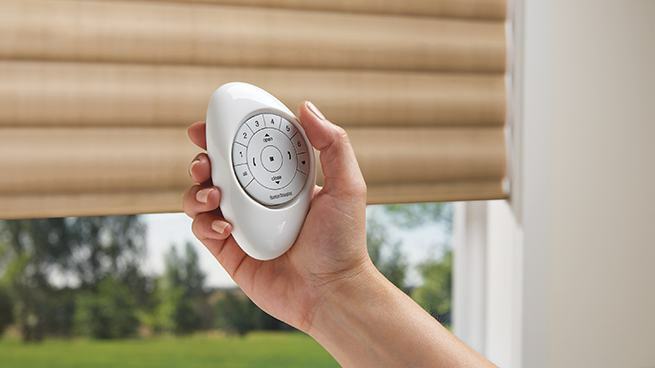 Our motorized window treatments come with Hunter Douglas PowerView® Motorization, recipient of the 2016 Red Dot Design Award. 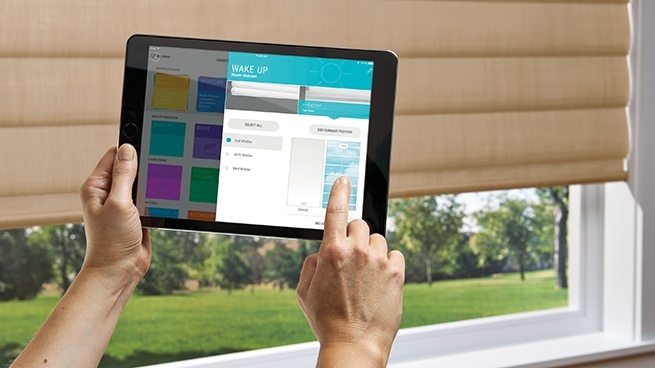 PowerView allows you to control and schedule your window treatments on your smartphone or tablet, using the intuitive PowerView App. 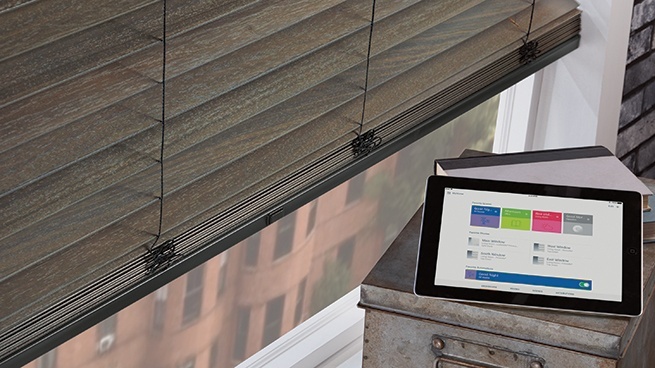 You can also operate PowerView® motorized window treatments using Hunter Douglas’ stunning new Pebble® Control. 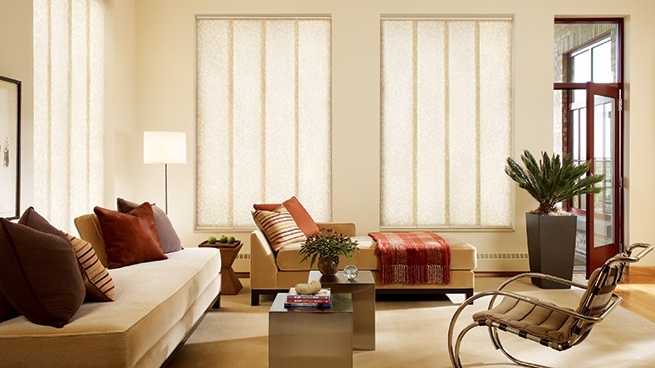 PowerView can automatically move your window treatments throughout the day to the exact position you want. 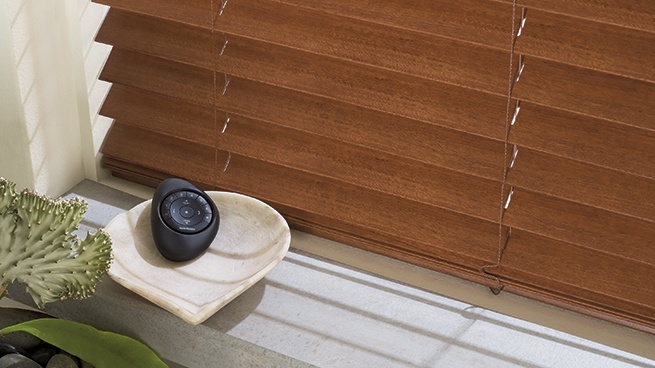 It also integrates with other sophisticated whole-home automation systems, such as Nest®. 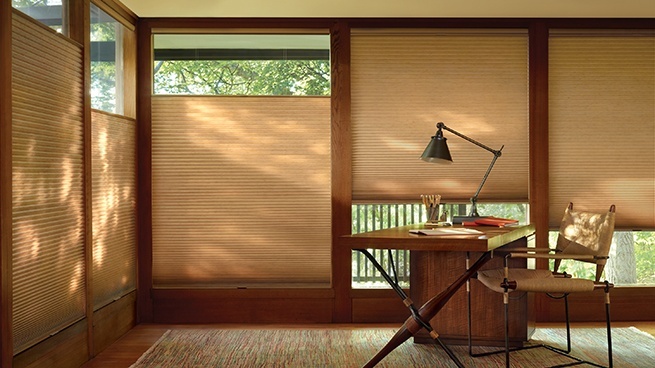 PowerView® Motorization is available for all of the below shown sheers and shadings, honeycomb shades, pleated shades, Roman shades, rollers shades, screen shades, woven wood shades, and blinds. 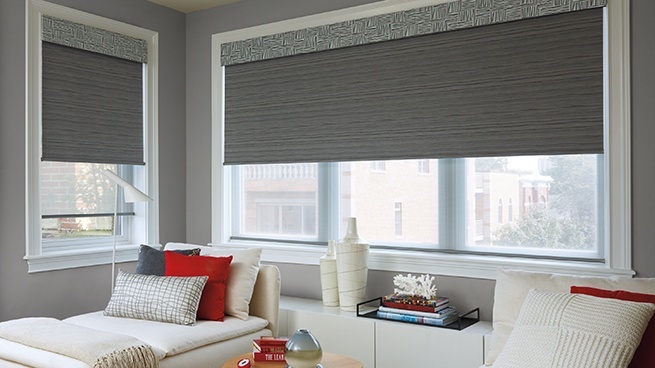 For more information, contact the team at BrightLine Custom Blinds. 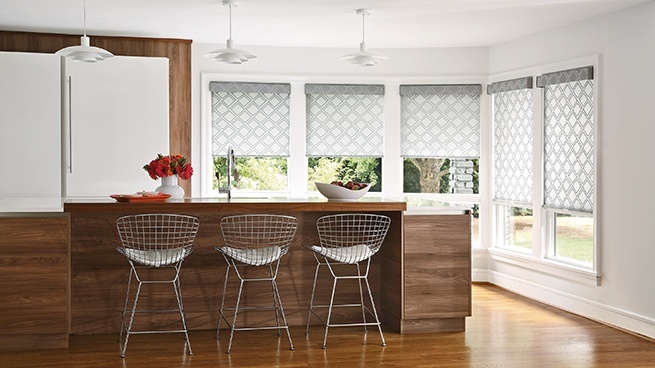 BrightLine Custom Blinds offers a large selection of custom Hunter Douglas window treatments, including sheers and shadings, honeycomb shades, shutters, horizontal blinds, vertical blinds, Roman shades, roller shades, and woven wood shades. We serve all the Des Moines metro area and surrounding communities including Altoona, Ankeny, Clive, Granger, Grimes, Johnston, Norwalk, Pleasant Hill, Urbandale, West Des Moines, and Waukee. Please contact us, and let us know how we can help you. Sometimes a good night's rest is hard to come by. Especially when it's the weekend and the only thing you want to do is sleep in, but the sun comes up, and soon enough your room is lit up, and you're wide awake. Thankfully there are always advancements in home comfort that can help with little problems like that — introducing the blackout shade! 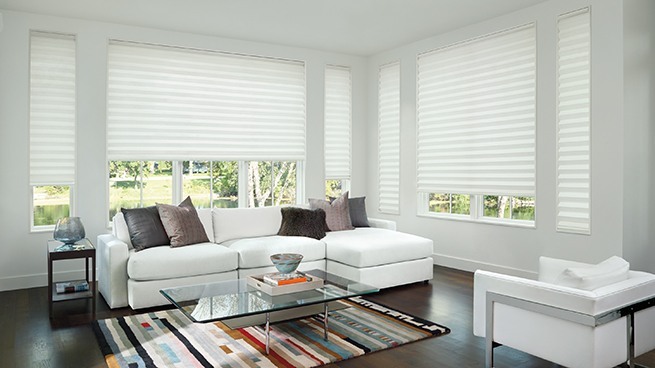 Now sure most of us have known people who have them or even had one/some at one point; but do you know all the uses and benefits to having a blackout shade installed in rooms throughout your home? Today’s project included mixing blind styles within the same space. We wanted to highlight the door within the room, opting for a style that allowed a view through. 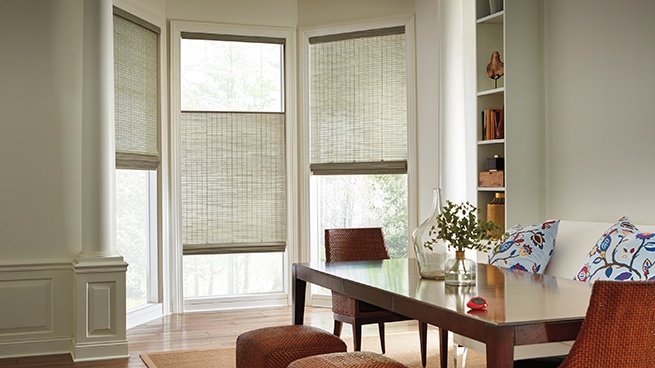 The Pirouette and wood blinds work perfectly together in this space. One last peak of the shutter job we completed this week. 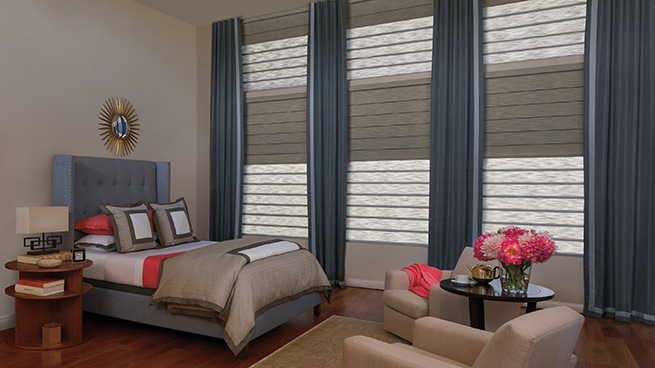 I love the elegance and design these Palm Beach Shutters added to the Master Bedroom. 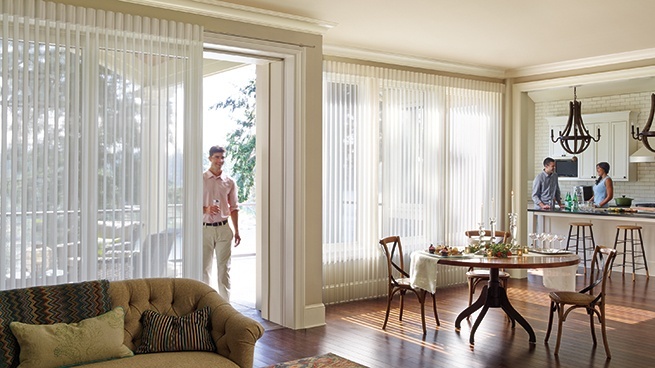 They also allow for the perfect amount of privacy and light control with the ability to close half the slats.